Home Uncategories You're Invited! Party at SMU! You're Invited! Party at SMU! Spicy Candy DC, Fashionably Broke, The President Wears Prada and I are releasing our South Moon Under Video Lookbook, and we would love for you to celebrate with us! 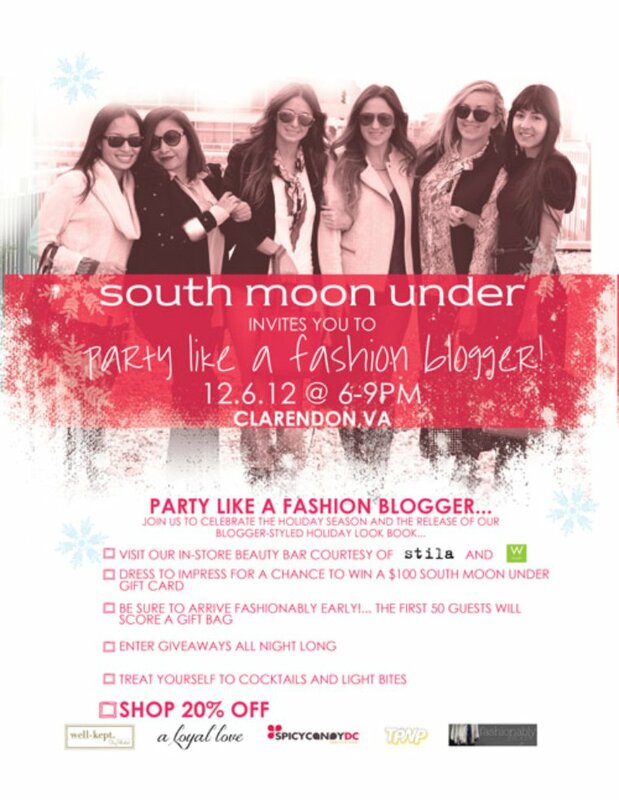 Join us at South Moon Under in Clarendon on Thursday, December 6 from 6-9 PM for complimentary drinks, light bites, giveaways, and shopping at 20% off! Arrive early! The first 50 guest will treated with a gift bag! RSVP here! Can't wait to see you at there!